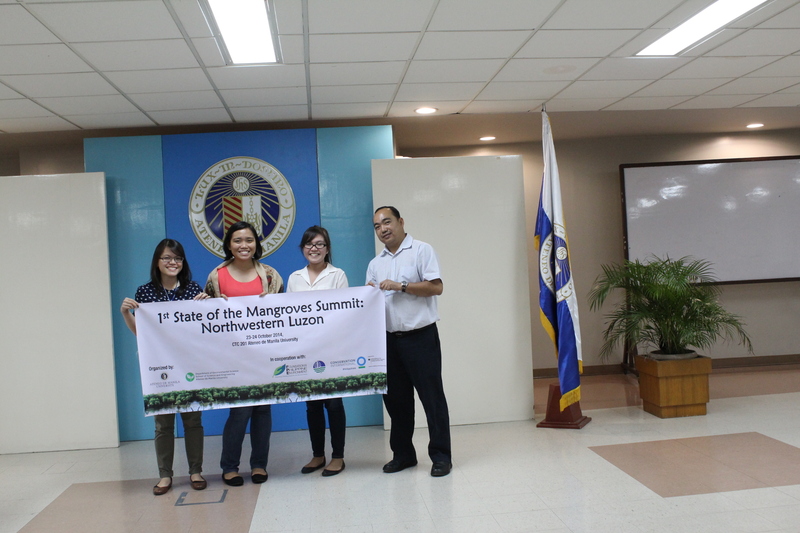 Ms. Vanessa Malapit and Dr. Salmo presented the results of their studies on the role of Silonay mangroves in carbon sequestration and its adaptation to sea level rise on 29 January 2019 in provincial capitol, Calapan, Mindoro. 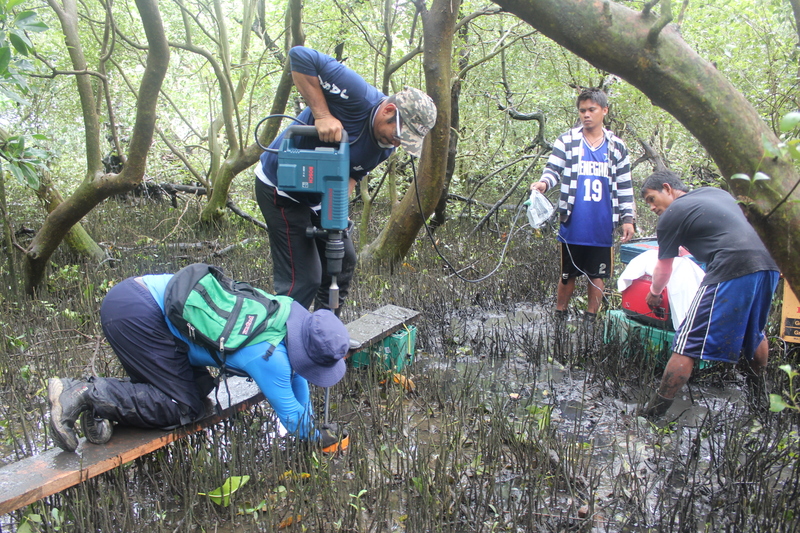 Khas Marbella conducted preliminary sampling in Candelaria, Zambales on 15 November 2018 to assess the heavy metals in selected mollusc species. Hannah Dela Cruz conducted sampling in Anda, Pangasinan on 22-25 October 2018. 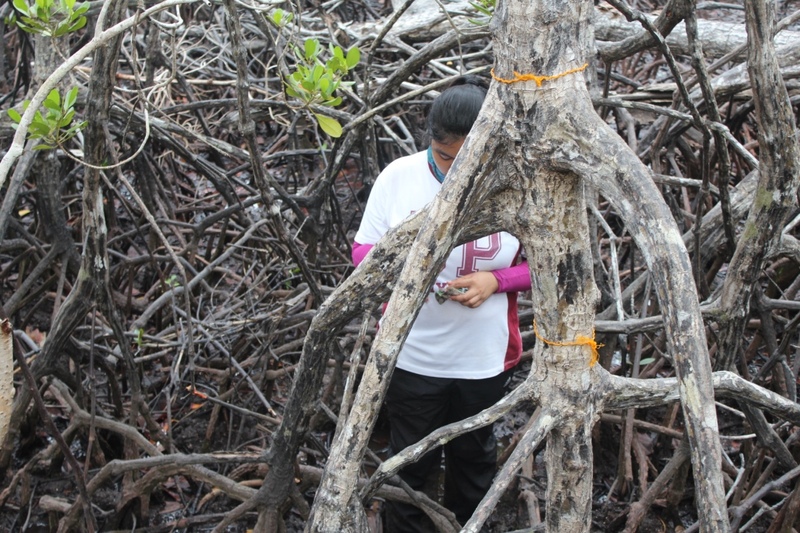 The study aims to assess and compare carbon stocks and nutrients between natural mangroves and mangroves that colonised abandoned fishponds. 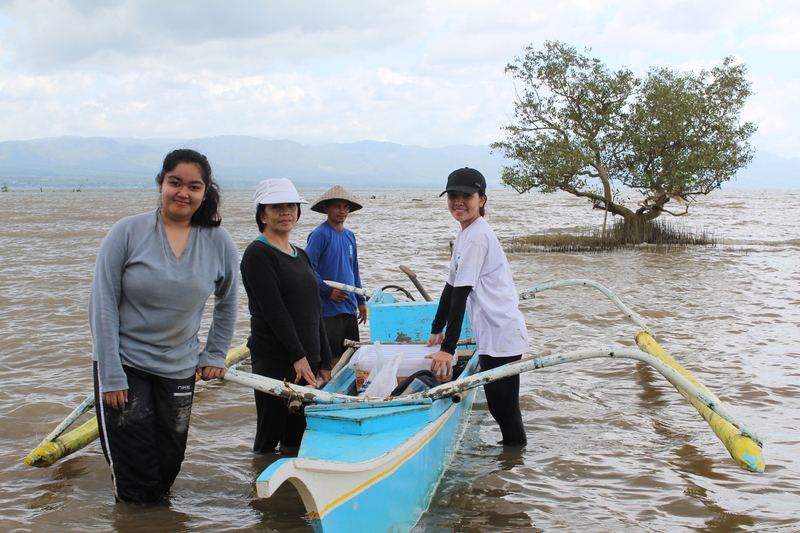 The undergraduate thesis students conducted their sampling in Sasmuan, Pampanga on 28-30 September 2018. Ms. Tin Dalida presented “Assessment of the Impacts of Tourism Off Puerto Galera Using Seagrass, Benthos, and Reef Fish as Bioindicators” in the 1st National Blue Carbon Symposium held in Subic, Zambales on 20-21 September 2018. Tin presented a component of their group thesis on carbon stock values in seagrass (and compared the values between conserved and disturbed seagrass). 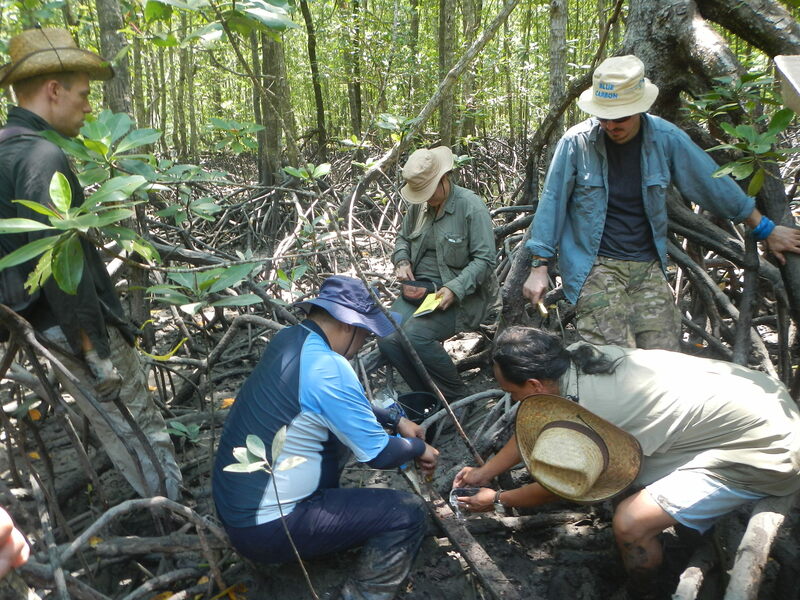 The project presented the recent estimates on carbon stocks in Philippine mangroves in the Annual International Blue Carbon Initiative (IBCI) meeting held in Weihai, China on 27 August – 1 September 2018. Dr. Salmo served as one of the plenary speakers in the 4th Effects of Climate Change on World’s Oceans (ECCWO) Conference held in Washington, DC, USA on 4-8 June 2018. 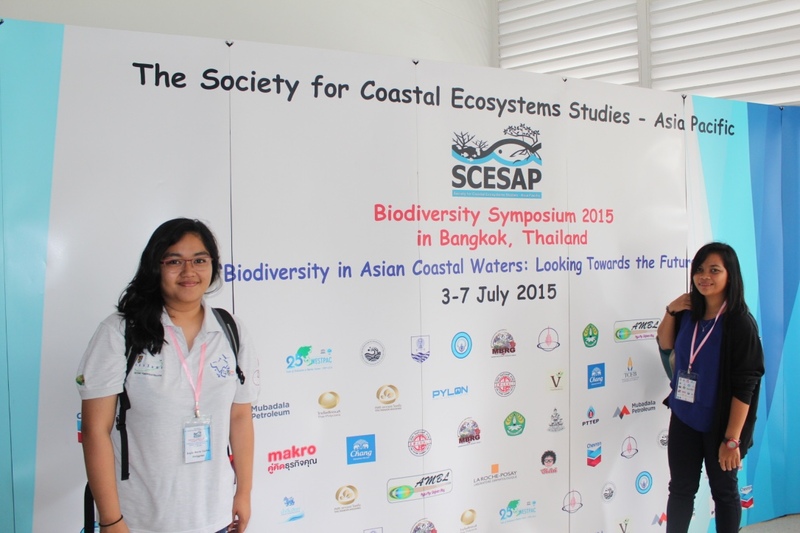 He presented “Coastal Ecosystems and their Blue Carbon Science, Conservation and Policy Progress”. Ms. Khasmer Marbella presented her M.Sc. thesis proposal, entitled “Heavy Metal Accumulation of Mollusks as Bioindicator of Contamination in Mangrove Sediments in Lake Uacon, Candelaria, Zambales” on 10 April 2018. Ms. Eunice Lois D. Gianan presented her M.Sc. thesis proposal, entitled “Effects of varying salinity and inundation to the structural complexity of mangroves of the Philippines” held at the Marine Science Institute UP Diliman on 6 April 2018. Congratulations to Ms. Celestine Dalida, Ms. Giniel Mae Tiongson and Mr. William Dimalanta for successfully defending their thesis, entitled “Assessment of the Impacts of Tourism Off Puerto Galera Using Seagrass, Benthos and Fish as Bioindicators” on 4 April 2018. Congratulations to Ms. Celine Campos for successfully defending her thesis, entitled “Assessment of the Impacts of the 2016 El Niño on the Growth of Sardinella gibbosa in the West Visayan Sea” on 4 April 2018. The OML Project presented the initial findings of their study in the last 3rd State of the Mangrove Summit: Central & Eastern Visayas held in UPVTC on 23 March 2018. Mr. Luis Capua, Jr. presented his M.Sc. thesis proposal, entitled “Assessment of the Retention and Resorption Capacity of Heavy Metals in the Avicennia marina (Forsk.) 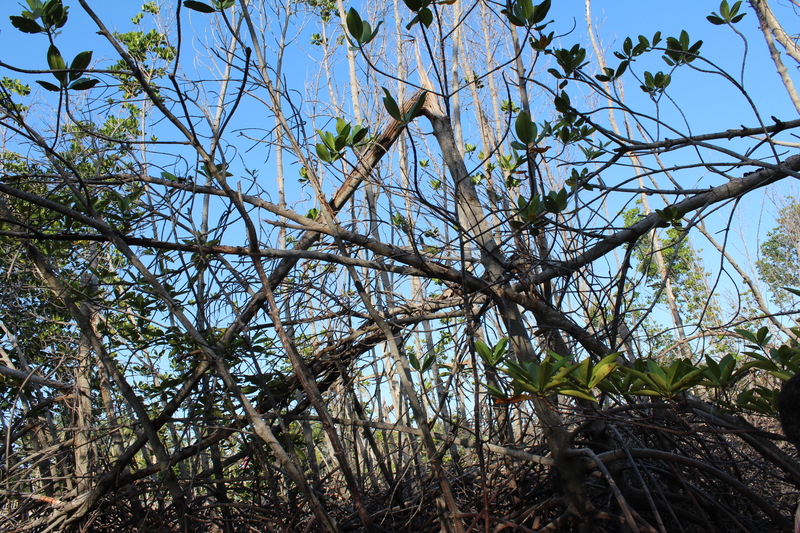 Mangroves” on 1 December 2017. Congratulations to Mr. Jumel Christian P. Nicha for successfully defending his thesis, entitled “Application of Environmental Quality Indices on the Assessment of Heavy Metals in Mangrove Sediments in Lake Uacon, Candelaria, Zambales” on 18 November 2017. Ms. Lara Mendoza presented her M.Sc. thesis proposal, entitled “Shifts on Mollusc Assemblages as Restoration Indicator of Habitat Functionality in Mangrove-Colonized Abandoned Aquaculture Ponds in Anda, Lingayen Gulf” on 9 November 2017. Mr. Jumel Nicha for his M.Sc. thesis proposal presentation (25 January 2017), entitled “Application of Environmental Quality Indices on the Assessment of Heavy Metals in Mangrove Sediments in Lake Uacon, Candelaria, Zambales”. Ms. Maria Carmela Garcia for the completion and successful defense of her M.Sc. 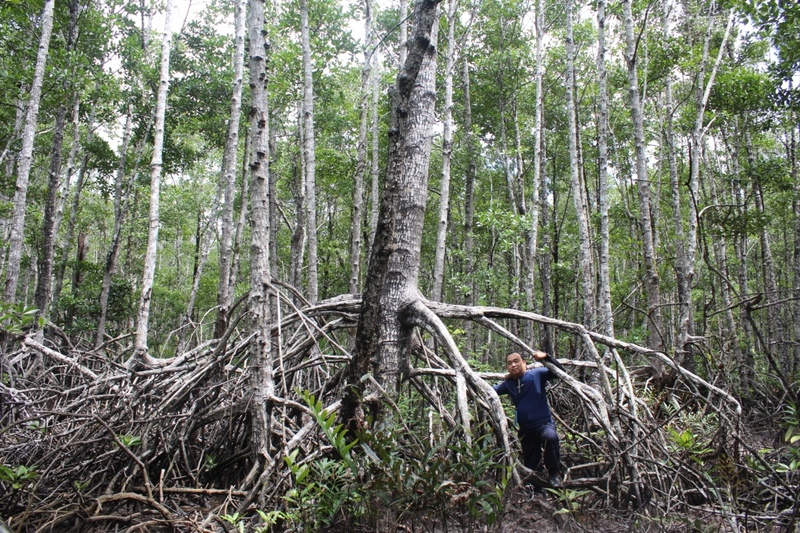 thesis (19 April 2017), entitled “Nutrient Content and Resorption Efficiency as Recovery Indicators in Typhoon-Damaged Mangroves in the Philippines”. Mr. John Charles Altomonte for the completion of his B.Sc. thesis (21 April 2017), entitled “A Comparative Analysis of Nekton Assemblages Across Interconnected Coastal Ecosystems Disturbed by Coral Bleaching in Busuanga, Palawan”. Ms. Fiona Faulkner for the completion of her B.Sc. thesis (26 April 2017), entitled “A Comparative Assessment of Nutrient Content in the sediments Among Mangroves, Seagrass, and Mangrove-Seagrass Continuum Ecosystems in Busuanga, Palawan”. Ms. Vanessa Malapit for her M.Sc. 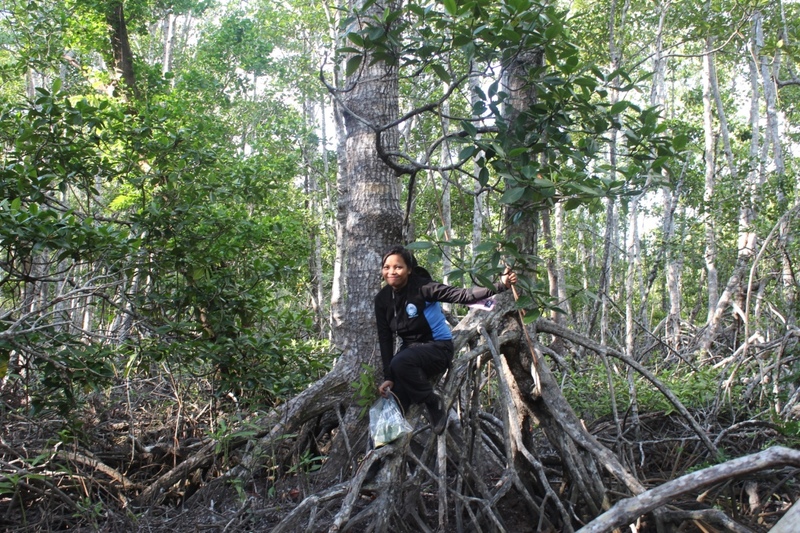 thesis proposal (26 April 2017), entitled “Assessment of Vulnerability of Mangroves Against Sea Level Rise Using Vegetation and Sediment Attributes”. 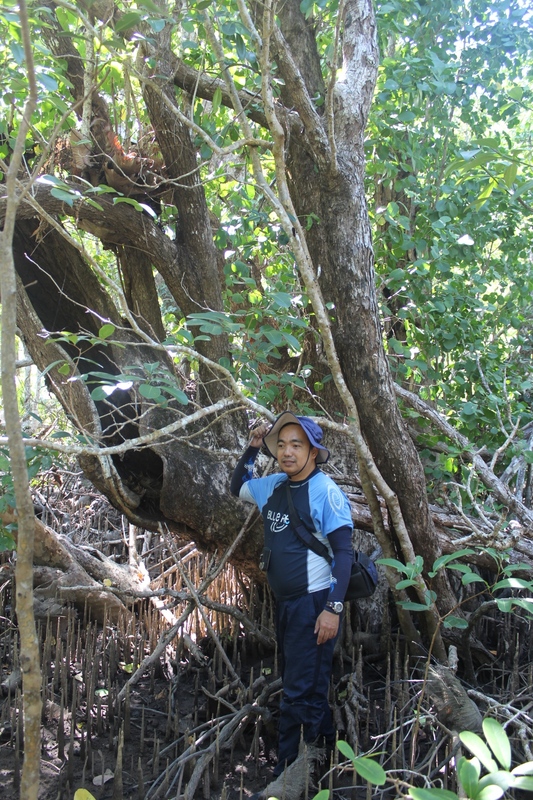 Dr. Salmo presented “Vulnerability/Resiliency of Philippine Mangroves Against Sea Level Rise” in the “Symposium on Mangroves for Climate-Adaptive and Resilient Communities (Visayas)” held in Waterfront Cebu Hotel, Cebu City on 19-20 December 2016. The symposium was organized by the Climate Change Commission, the Ecosystem Research and Development Bureau, and the Biodiversity Management Bureau. 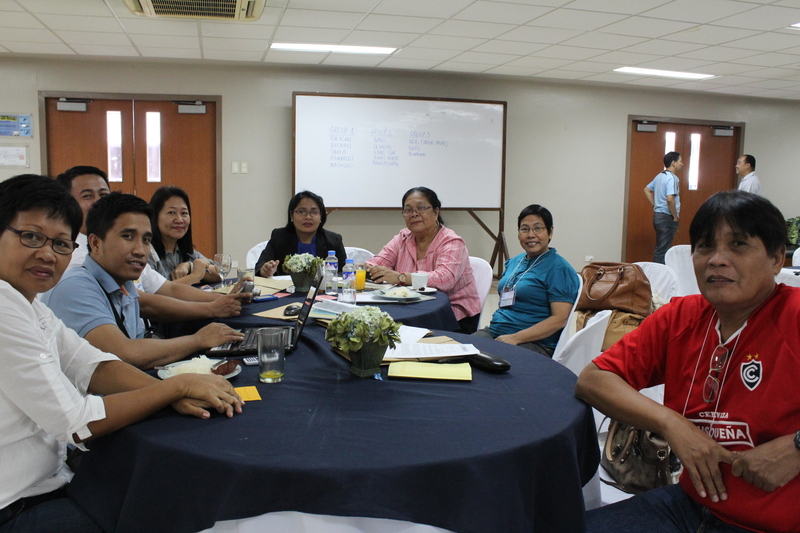 The project participated in the first Core Group Meeting for Blue Carbon – Philippines. The meeting was facilitated/sponsored by the Climate Change Commission on 27 October 2016 in Ninoy Aquino Parks and Wildlife Center, Quezon City. 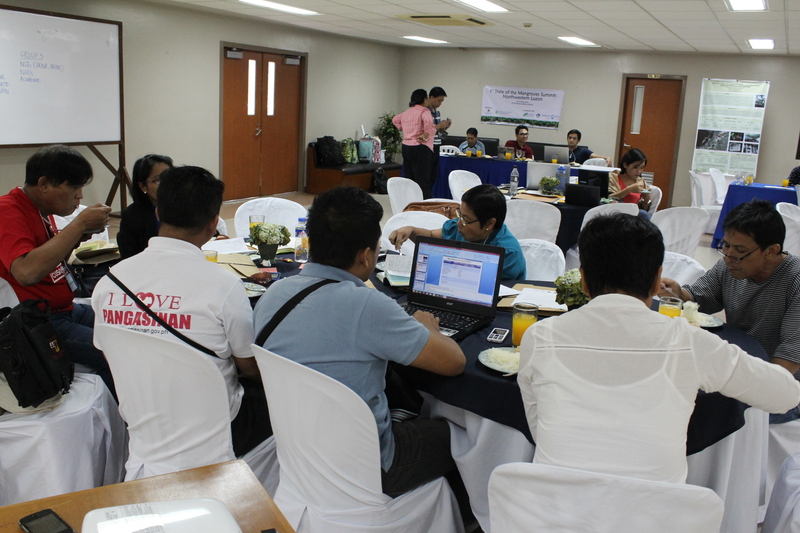 It was attended by representatives from the national government agencies, NGOs and academe. 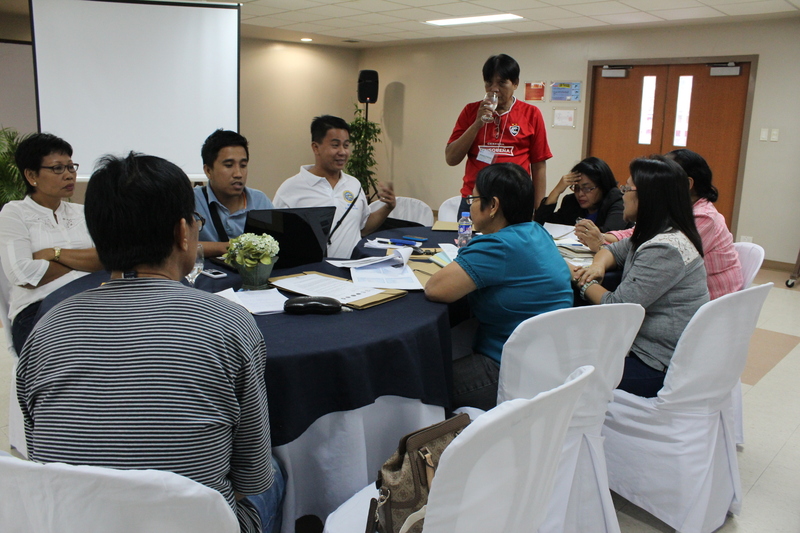 The meeting aims to strategize and strengthen the researches for Blue Carbon in the Philippines. 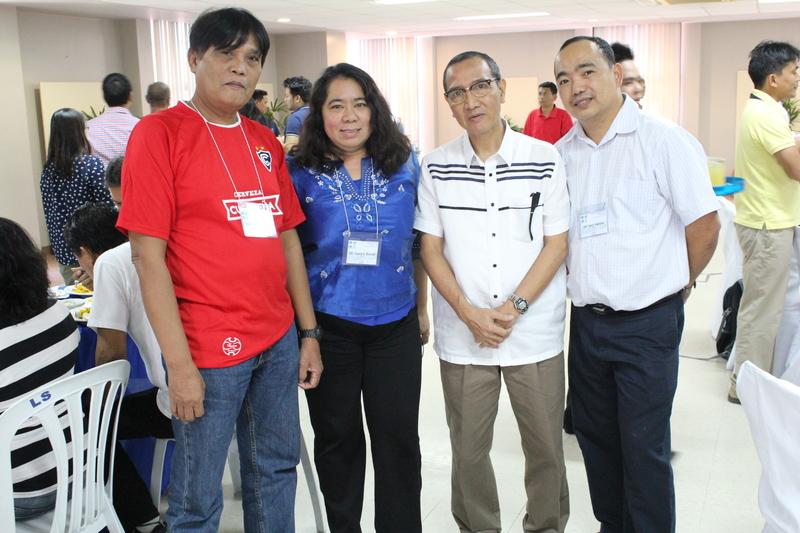 Dr. Salmo served as one of the Resource Persons in a seminar sponsored by the National Academy of Science and Technology. The seminar was entitled “NAST: 40 Years in the Pursuit of Excellence – Lecture Series and Symposium for the Youth“. It was held in Vigan, Ilocos Sur on 11-12 October 2016. Dr. Salmo presented the topic, “Lessons and Challenges in Mangrove Restoration in the Philippines: The Need for a Sound Science“. Dr. Salmo participated in the “Blue Carbon Initiative Scientific Working Group Meeting” on 27‐29 September in Manado, Indonesia. 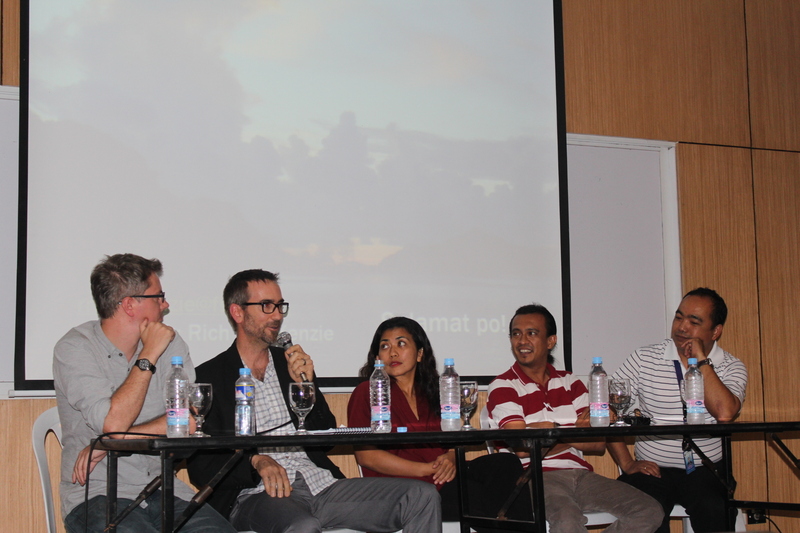 The event was sponsored by the Center for International Forestry Research (CIFOR). Dr. Salmo presented the update of the PEER Project to USAID and NAS personnel in Washington, DC on 25 July 2016. Dr. Salmo (Principal Investigator) and Ms. Kayla Castro (Research Assistant) attended the Mangrove and Macrobenthos Meeting 4 held in St Augustine, Florida, USA on 17-22 July 2016. 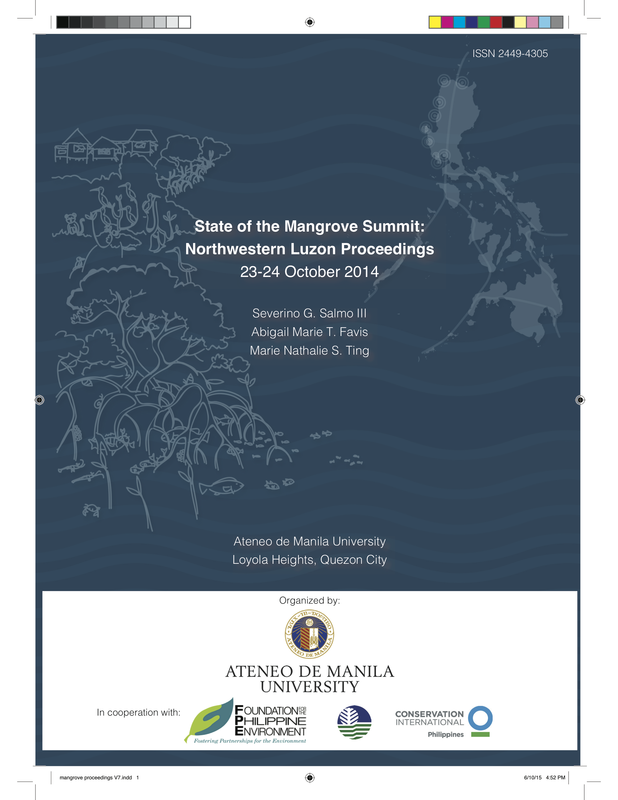 Two studies were presented, “Comparative assessment of damages and regeneration patterns between planted and natural mangrove stands after catastrophic typhoons in the Philippines” (oral) and “A multidisciplinary approach in assessing typhoon-damaged mangrove forests in the Philippines” (poster). Some photos here. 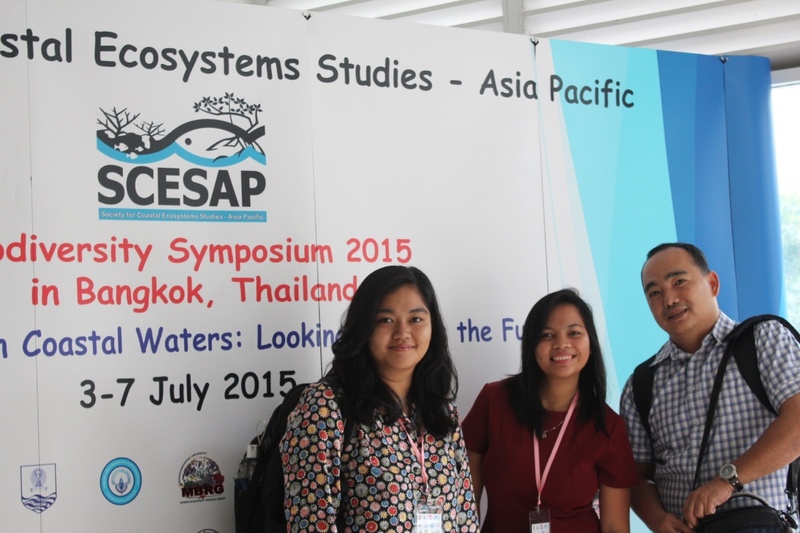 Dr. Salmo and Ms. Castro (Research Assistant) was featured in USAID Philippines and Pacific Islands weekly update. Dr. Salmo as recipient of the National Academy of Science and Technology (NAST)’s Outstanding Scientific Paper Award, http://www.ateneo.edu/ls/news/ateneo-faculty-members-receive-2016-nast-awards. The awarding ceremony was held on 14 July 2016 at the Manila Hotel. 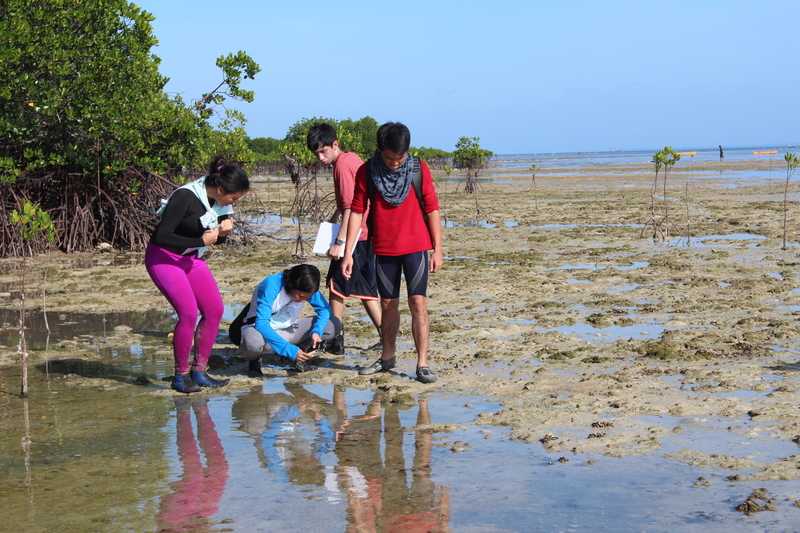 13-17 June 2016 Environmental Monitoring class went to Bolinao and Bani, Pangasinan for field sampling (vegetation, sediment, plankton, nekton and water quality). See photos here. 26-27 May 2016 The project co-sponsored The National Seagrass-Mangrove Bioshield Conference held in UP Marine Science Institute. 27-28 February 2016 Exploring study sites in Calapan, Oriental Mindoro for the measurements of elevation change and carbon stocks. This site was uplifted by at least 0.3m from an earthquake in 1994. 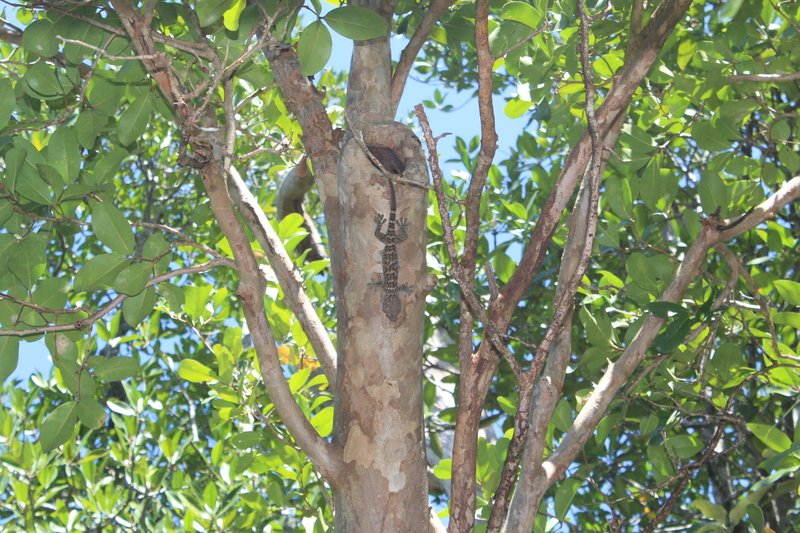 It resulted then to the colonisation of Sonneratia sp. 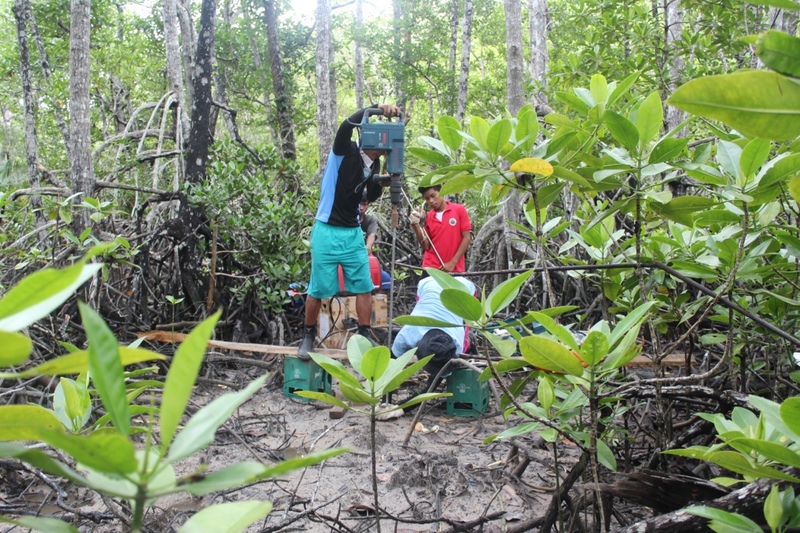 28 April – 2 May 2015 Installation of rSETs and field sampling in Palompon, Leyte. 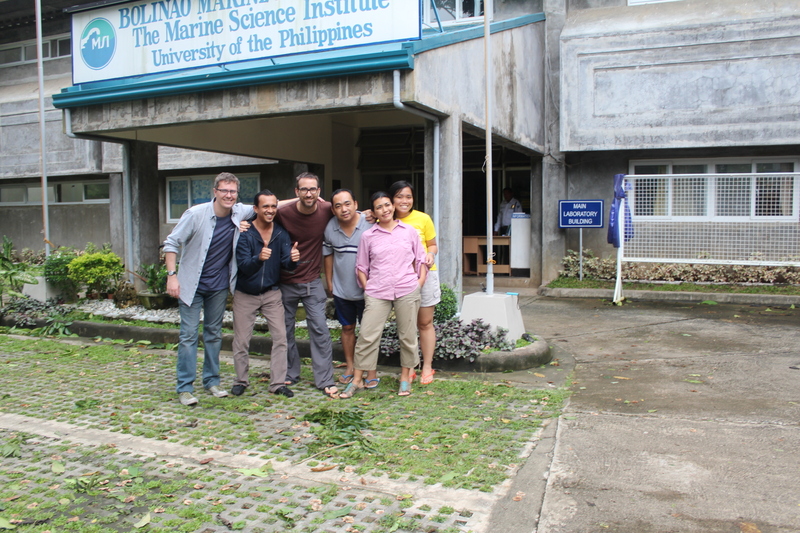 17-19 April 2015 Field sampling/monitoring in Masinloc, Zambales and Subic Bay. 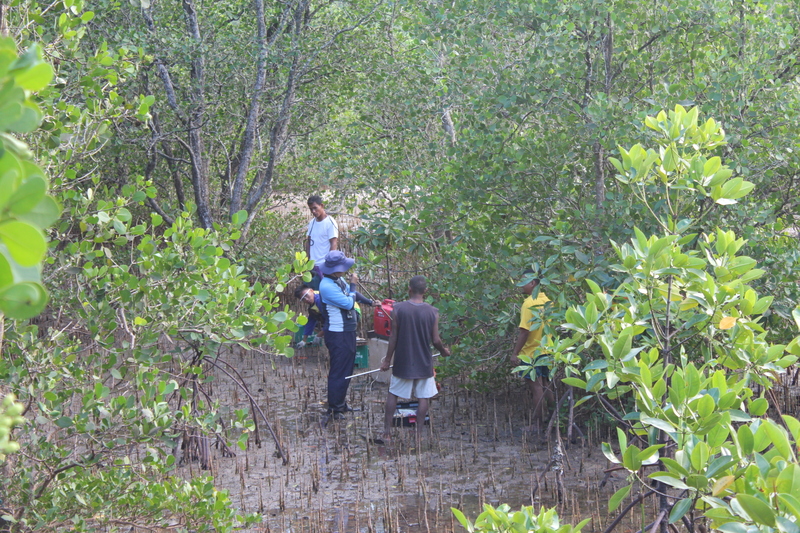 10-12 April 2015 Preliminary field sampling in Kalibo, Aklan. 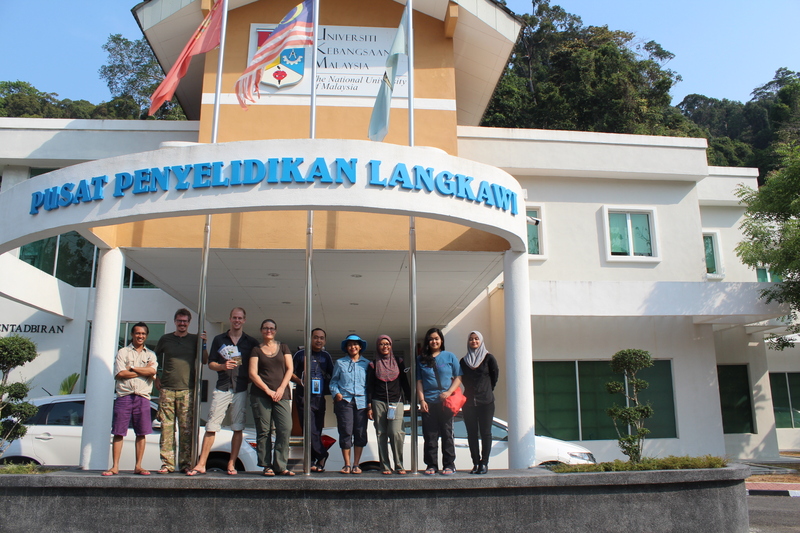 22-26 March 2015 2nd workshop-meeting in Langkawi, Malaysia hosted by Dr. Aldrie Amir of UKM for the APN-GCR Project. 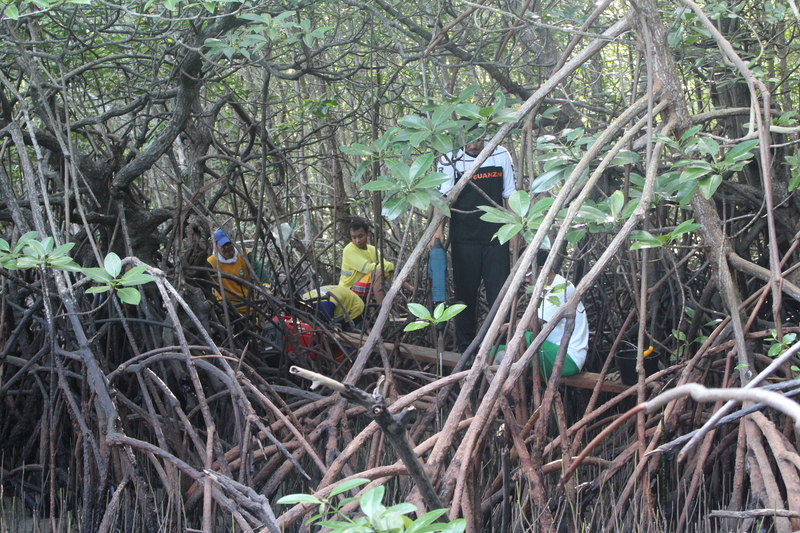 The meeting also included the mangrove assessment including carbon stock estimation and vegetation analysis. 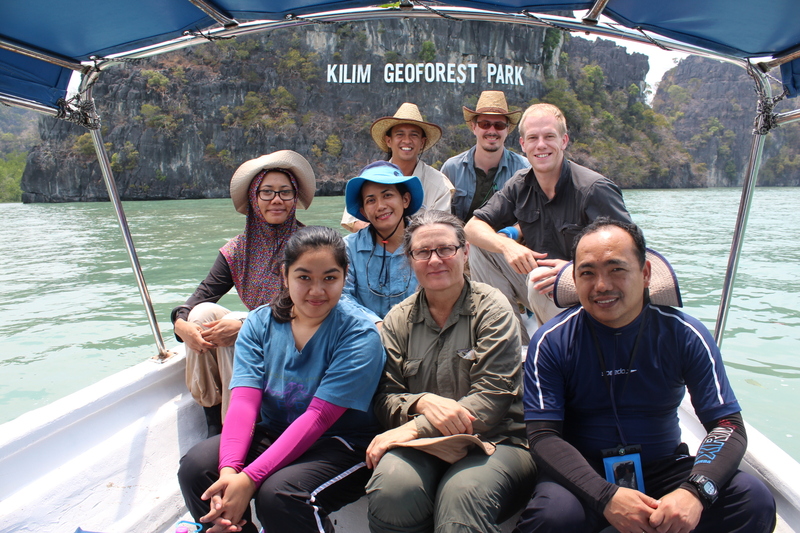 The first rSET in Malaysia was installed in Kilim Geoforest Park. 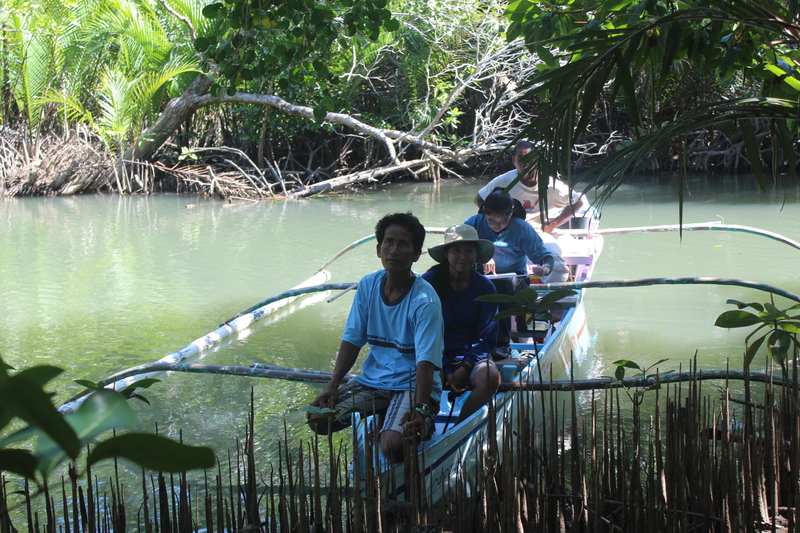 30 January -2 Feb 2015 Field survey in Busuanga Island, Palawan to assess the impacts of Super Typhoon Yolanda and evaluate mangrove regeneration patterns. 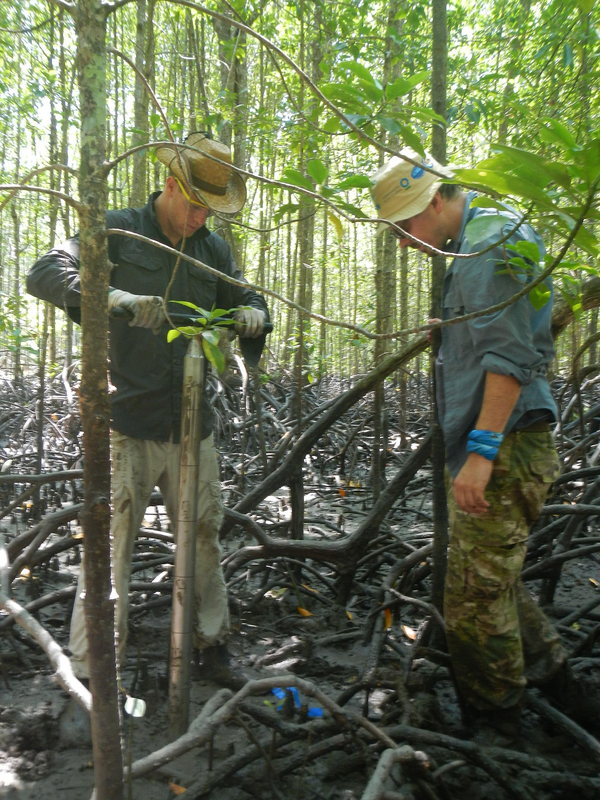 The survey was conducted for the PEER Project to look for potential sampling sites to install rSETs. 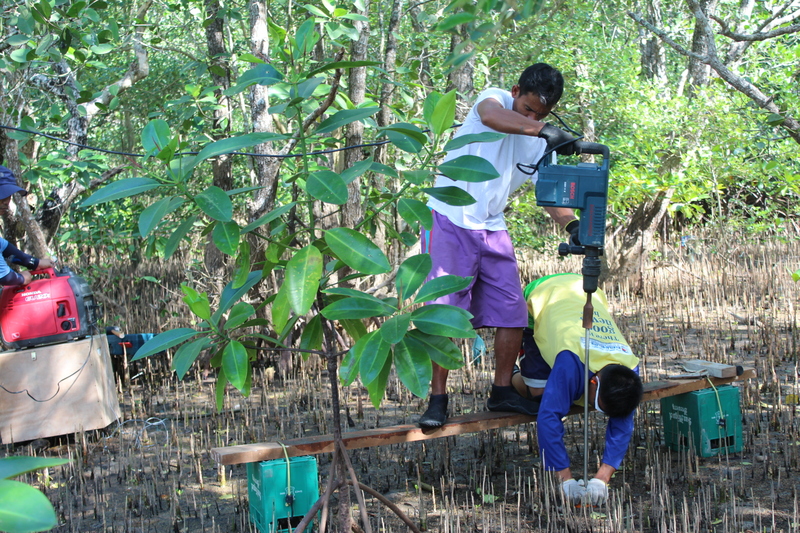 24-25 January 2015 Installation of rSETs in Subic Bay Mangrove Park (in coordination with SBMA). 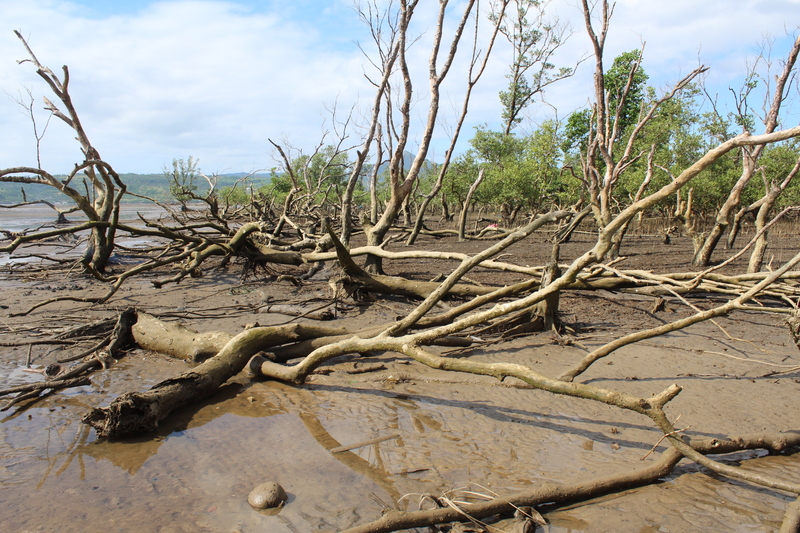 8-12 January 2015 Third (of four) assessment of impacts of Super Typhoon Yolanda and post-typhoon regeneration in the mangroves of Ormoc and Isabel, Leyte. 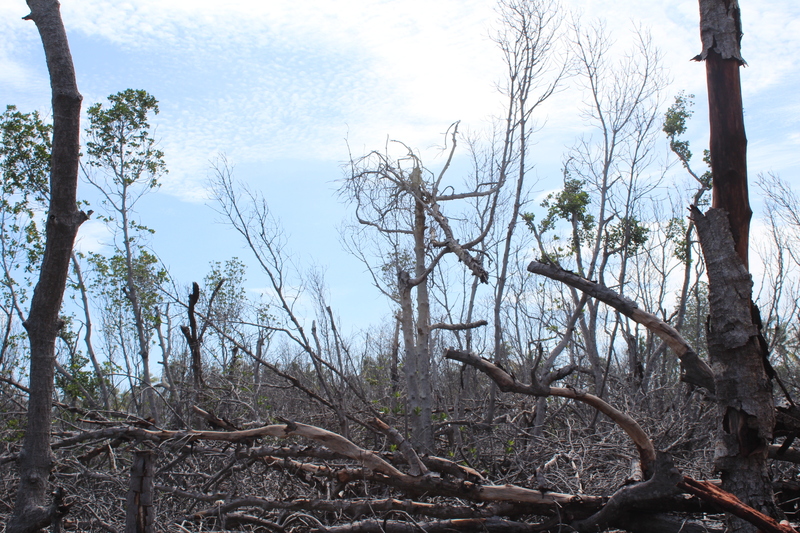 The study assessed post-typhoon changes in root biomass and soil physico-chemical properties at different soil depths. 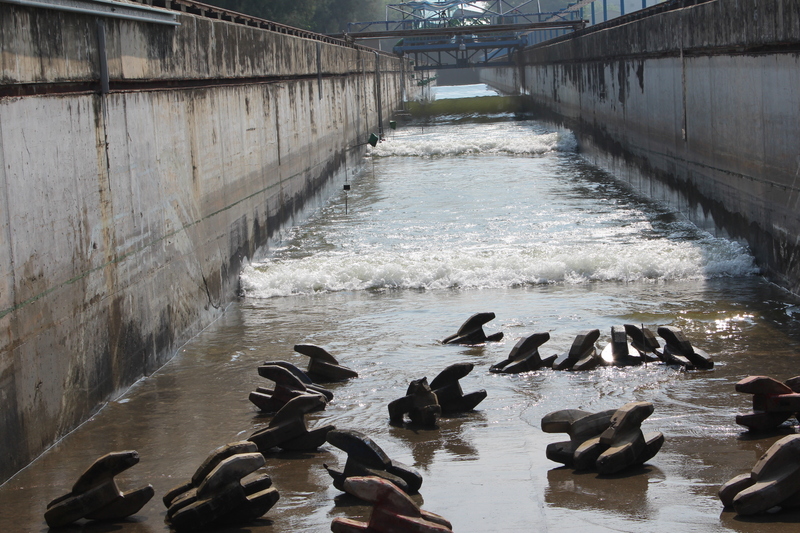 12-14 December 2014 Installation of rSETs in Masinloc, Zambales. 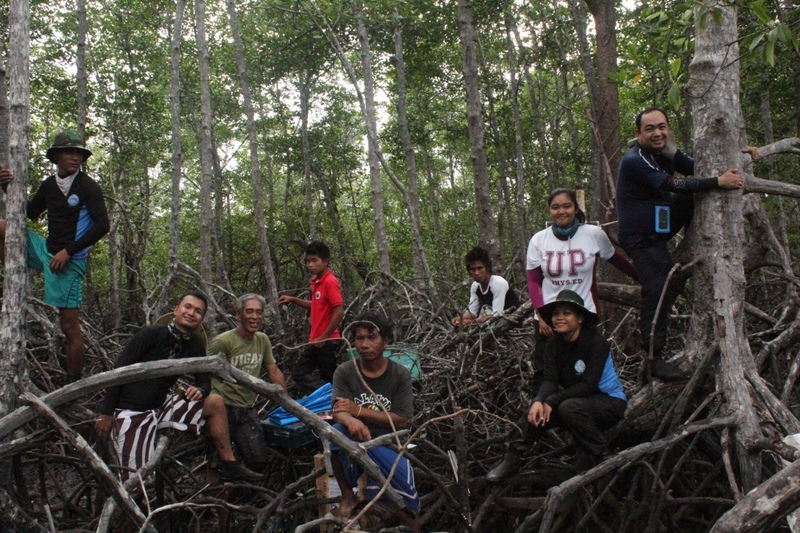 28-30 November 2014 Installation of rSETs in Bani, Pangasinan (with Dr. Frida Sidik of Indonesia). 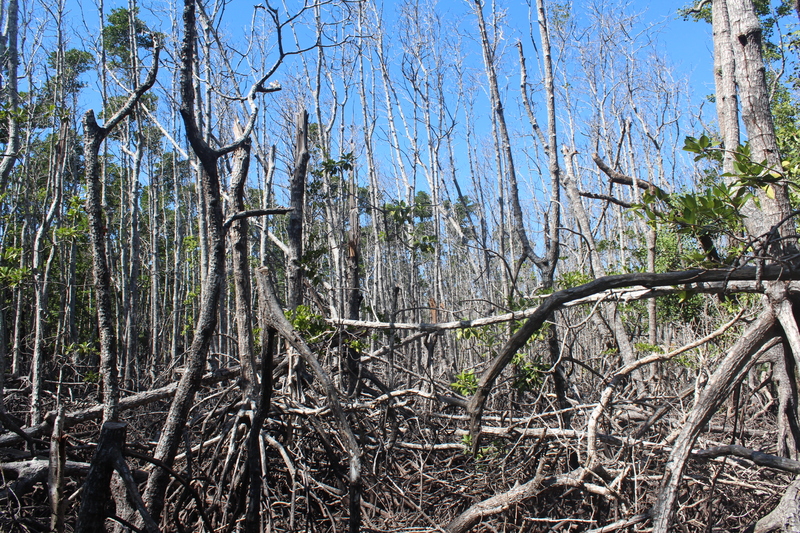 4-7 November 2014 Field survey in Bantayan Island, Cebu to assess the impacts of Super Typhoon Yolanda and locate potential sites to install rSETs. Four undergraduate students will do their thesis in this site. 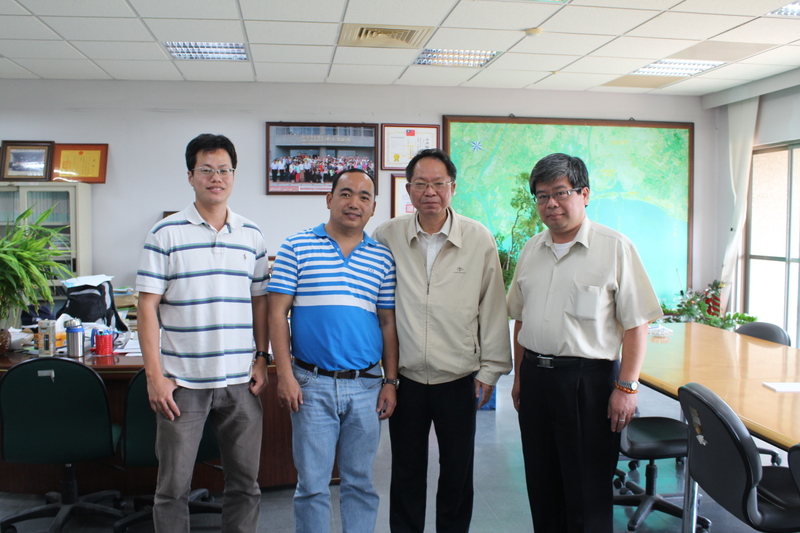 27-29 October 2014 Field visit and meeting in National Cheng Kung University in Tainan, Taiwan for the SATU Fellowship. 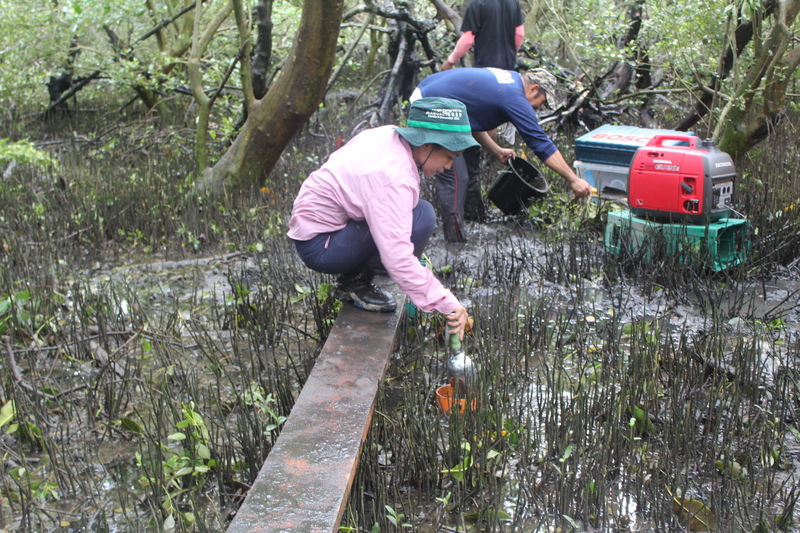 The visit explored possible collaboration between Philippines and Taiwan to formulate a research proposal on the role of mangroves in mitigating the impacts of typhoons and storm surges. 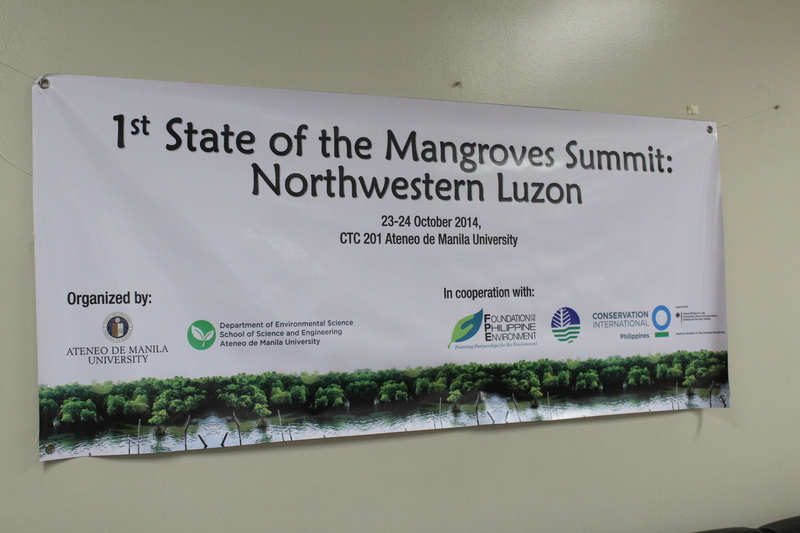 23-24 October 2014 The 1st State of the Mangrove Summit (Northwestern Luzon) was held in the Ateneo de Manila University. 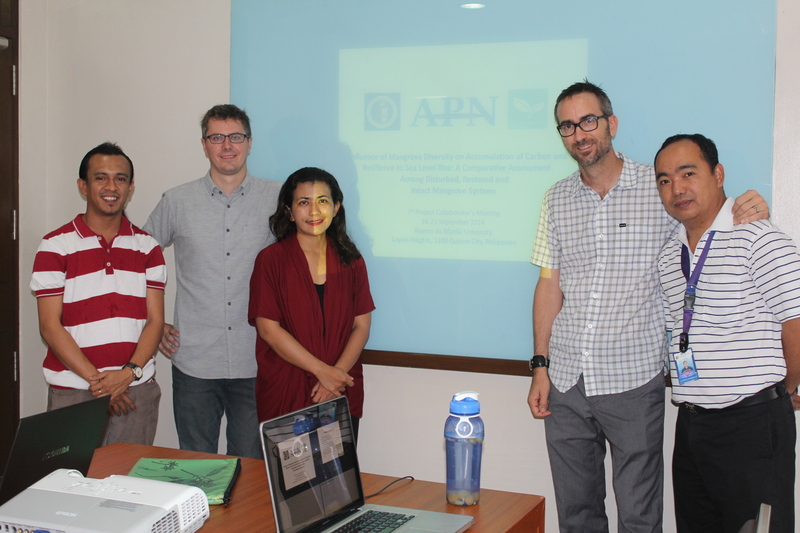 16-23 October 2014 The 1st APN Collaborator’s Meeting-Workshop was held in the Ateneo de Manila University. The meeting-workshop include a forum attended by students and researchers from the university. The highlight of this event was the installation of the 1st rSET in the Philippines. YONG MGA PICTURES NG MANGROVE SUMMIT ANG MATAGAL NG HINIHINTAY NI MADAM VIRGIE. The files are too big. But, we will send you a CD (or USB) when we go there.